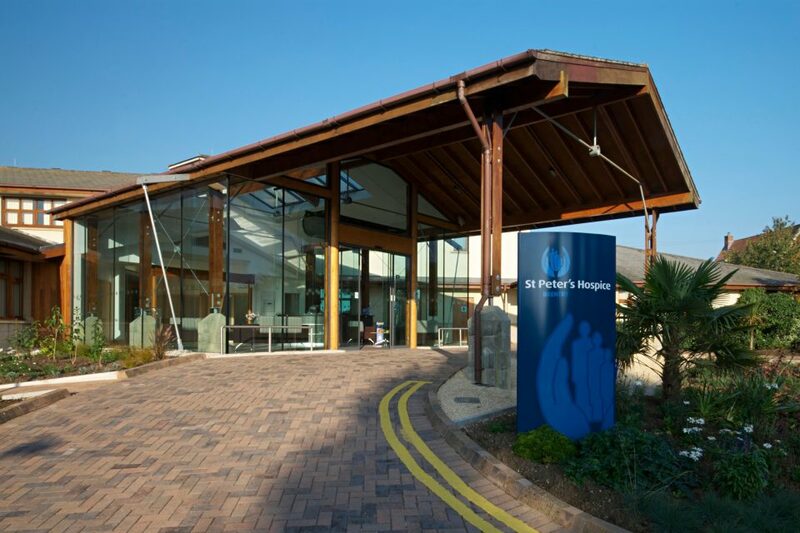 An existing canopy, originally designed to take high ambulances, was converted into a new reception area and opened by the Lord Mayor of Bristol in July 2011. 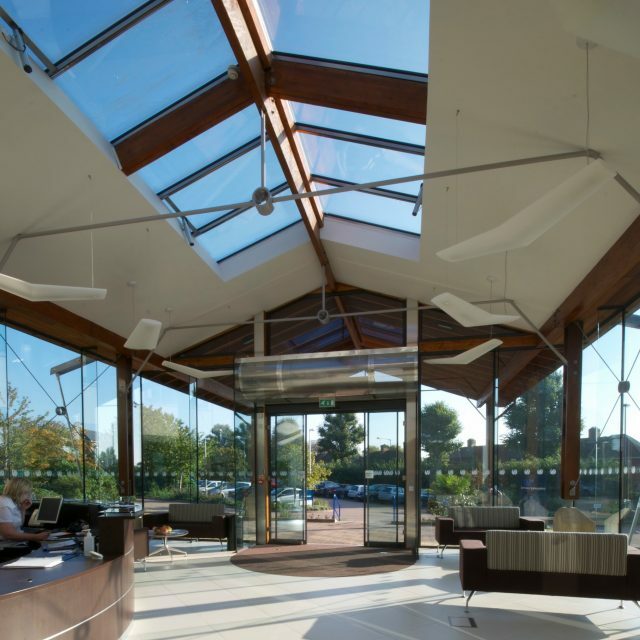 The existing canopy structure and roofing were retained, with a new frameless glass enclosure, creating a bright and airy reception area. 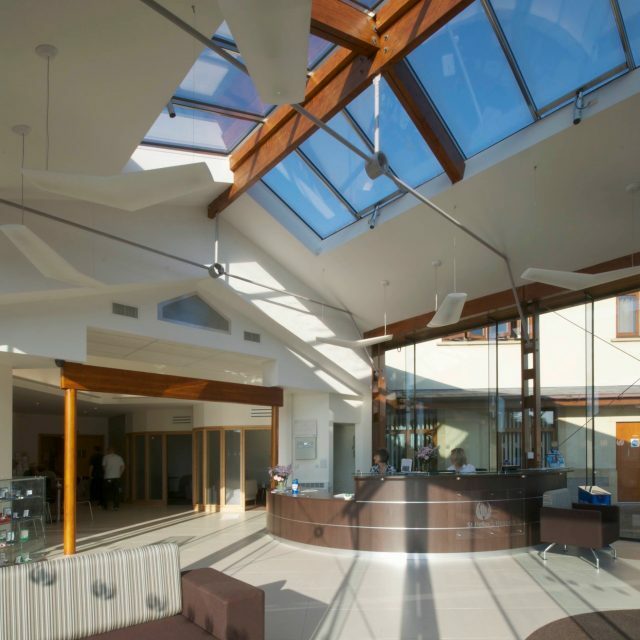 To the rear of the space, alterations were made to a coffee area to cater for informal meetings between staff, patients and their families, with some more structured spaces for counselling and meetings area. 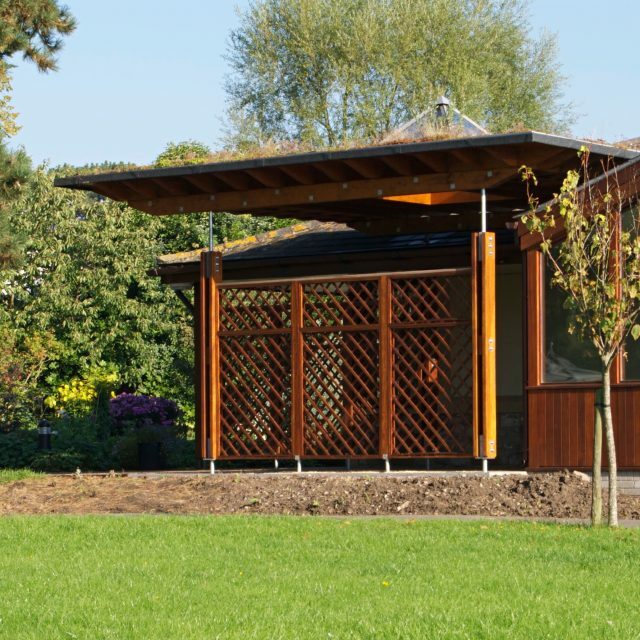 The materials palette has been kept simple, with timber for the structure, glass for the enclosure, plain cream tiles for the floor, and smaller trims and fixings in stainless steel.